Noise can be a major distraction in any building, especially older ones where acoustics weren’t considered in the initial design. It can demotivate workers, impact on productivity, make space less attractive and devalue property. Acoustics and light – have both! When talking acoustics, what often comes to mind are solid panels that block out light together with the noise, whereas standard glass normally lets through noise quite easily, together with the light. However, by treating panes of glass and the framing systems acoustically, like the GF Serene range by Aluglass Bautech, sound is managed without losing any light in the process. Even in existing buildings, where the psychological impacts of sound and light were not considered before, acoustic glass systems are some of the less invasive choices for restoring a space where the sound is harmonic, without sacrificing natural light. GF Serene acoustic demountable glass partitions can be easily relocated using innovative frame components. Thanks to its versatility, the GF Serene range is increasingly used to create quiet spaces within open-plan offices, financial institutions, hospitals, hotels and conference facilities. It is quick and easy to install, remove and re-install, with modular glass elements and flexible frame components. It can also be combined with other acoustic products such as mobile acoustic partitions and acoustic doors. Instead of rigidly designing the layout of a store, office or restaurant through stationary windows, GF Serene acoustic demountable glass partitions can be easily relocated using innovative frame components. 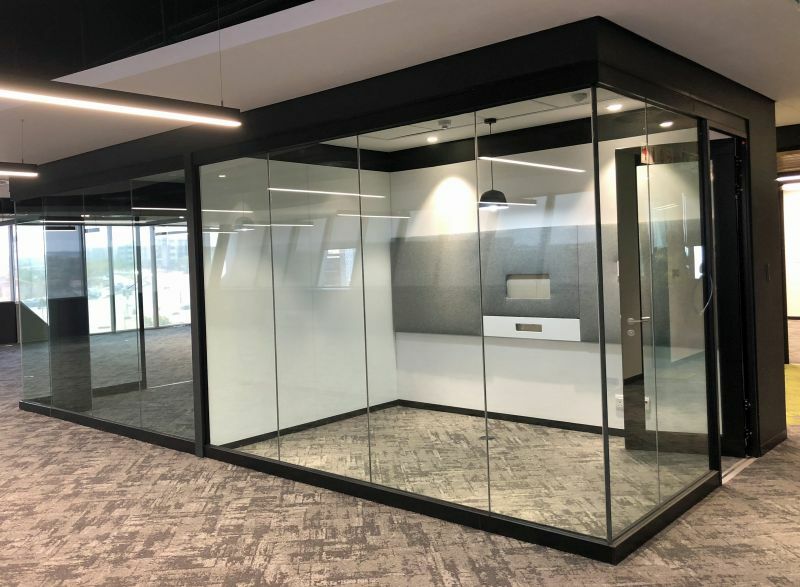 If combined with Variflex® glass mobile acoustic partitions, any space can be quickly configured for different uses without losing any acoustic control or spoiling the existing décor. 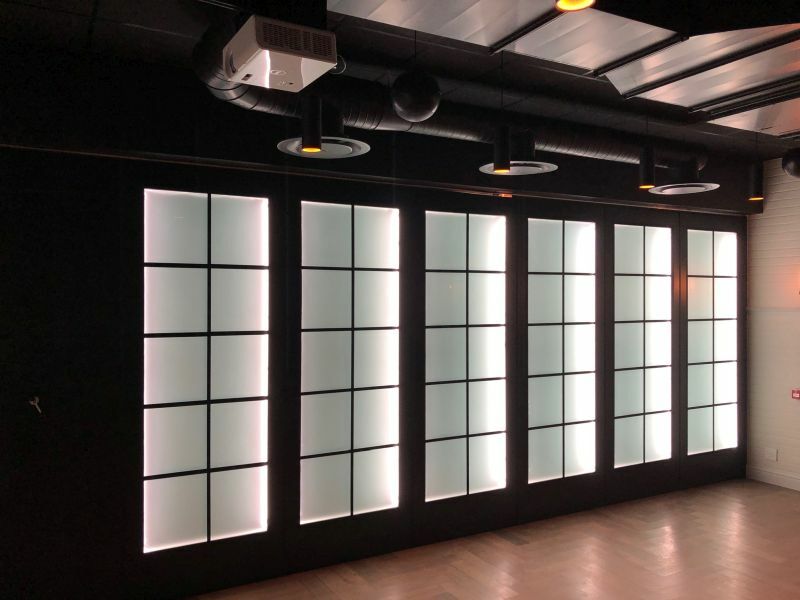 Variflex® glass mobile acoustic partitions featuring obscure, side-lit glass panels with a sound insulation of approximately 48dB, finished with super-black melawood frames. Acoustic glass can be used in just about any way, but important to note, is that it is treated with a laminate and fitted in frames with seals that are specially designed to enhance acoustic properties. Therefore, acoustic glass should not be cut to fit an existing frame – it will just be a waste of money. 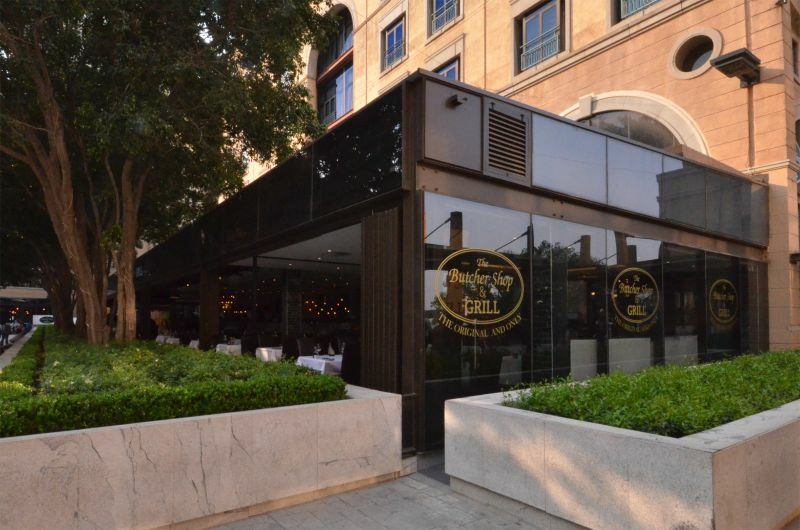 To produce the 3,6m high frameless glass entrance doors at the entrances of Nelson Mandela Square, 19mm thick clear toughened safety glass was used. All these specialised glass solutions are manufactured according to the standards of the South African Glass and Glazing Association (SAGGA) and are available with decorative treatments as well as complementary aluminium extrusions in a range of colours. 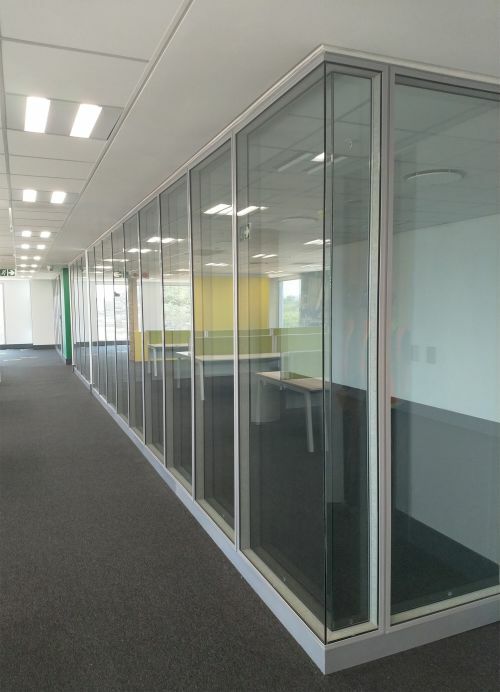 Main image: GF Serene acoustic demountable glass partitions were used to create quiet spaces in the Accenture office building.